Born to William Henry and Mamie Rooks Slaugh, Dale was the oldest of four children. He was an alumni of Uintah High School graduating class of 1946 where he played Center for the Basketball and Football teams. He then went on and attended BYU. Dale married Kathryn Lee Kay on December 18, 1948 and were blessed with 48 years together until her passing in January, 1997. Dale was a hardworking man having had jobs such as a carpenter for Duff Swain at the Gilsonite Mine, he worked for Equity Oil, and Vernal Sand and Gravel during the construction of the Flaming Gorge Dam. 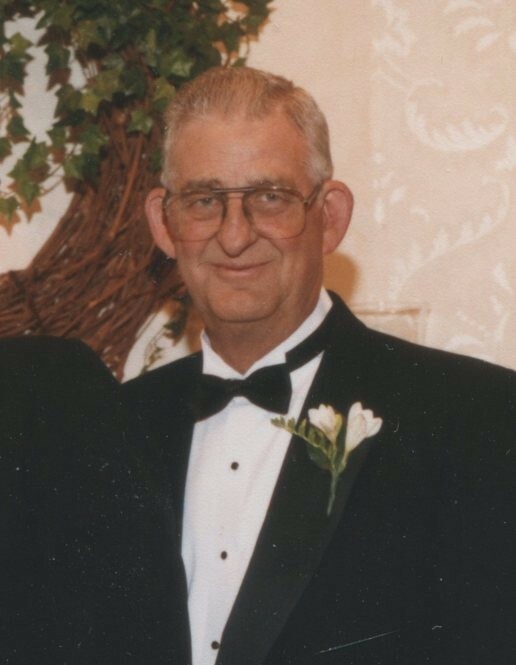 Later he partnered with his father establishing Two Bar X Ranch, Slaugh Motors, and Slaugh Real Estate and Insurance retiring after 35 years of service and from State Farm Insurance. Dale loved wood working and making custom bird houses, shelves, etc. He and Kathryn spent many years building their dream cabin on Diamond Mountain whereas they fell, cut, and placed the lumber themselves. Dale shared his time by being a member of the JayCee’s, Rotary Club of Vernal, the Elk’s Lodge and as a volunteer firefighter for 42 years with Vernal City/Uintah County for which 21 of those years was as Fire Chief. Dale is survived by his four children; Lorrie (Glen) Parker of Virginia, Karen Hacking of Vernal, James (Shirley) Slaugh of Vernal, and Mike (Kendra) Slaugh of Vernal; 8 grandkids, and 13 great grandkids. Brother Gary Slaugh of Ogden, sisters Maurine Rowley of Salt Lake City, and Annie (Dave) Johnson of Ogden. He is preceded in death by wife Kathryn, parents Bill and Mamie Slaugh, In-laws LeRoy “Pop” and Lola Kay, Son-In-Law Michael Hacking and Brother-In-Law Don Rowley. Our family would like to thank the staff of Canyon Health Care; Kim, Aleasha, Austin, and Janice, along with Brittany Frank for their support and compassionate care. Burial will be in the Vernal Memorial Park Under the care and direction of the Blackburn & Sons Vernal Mortuary & Cremation Care.